There are so many memory moments which are value to record inside your little birdhouse. Image how cool it will be when you show your friends the birds start building the nest, the first eggs finally laid, or the fledgling fight. 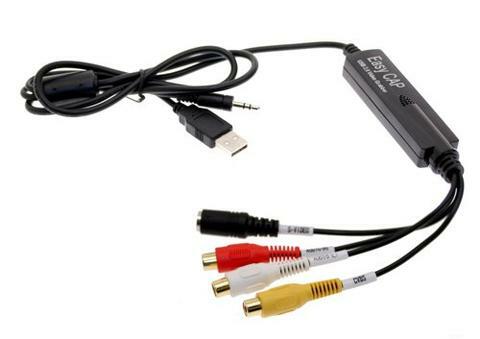 The simplest way is you can point your mobile phone to the TV and record the screen directly. However, you may never know when exactly the bird lays the first eggs. This article covers the general information about how to record your the bird box camera. To record an analog bird box, you will need external device such as USB video capturing card or Digital Video Recorder (DVR) to make it work. The DVR is the recording box we use in our home security. If you happen to have analog security system in your home, that is great. Connect the bird box camera to one of the DVR channel, it wills starts recording. How do I know whether my bird box camera is analog or IP? If you are watching the bird on TV directly, it is the analog, no matter wire or 2.4Ghz wireless. The analog video has to be digitized before it can be write to a hard drive. That is why you need USB capturing card or DVR for. Those devices digitize the analog video. 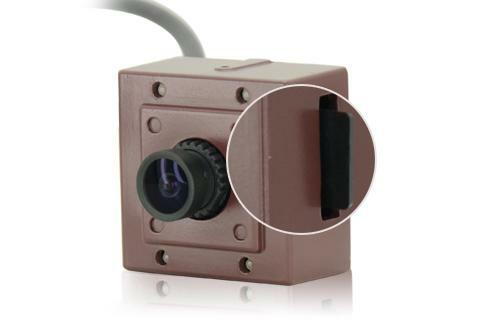 The mini USB capturing card is popular for analog bird box camera recording. It is compact, but the downside is you will need one PC keep running the software to record the video. As long as you just want to record specific moment such waiting for the first eggs laid, that will be fine. Just one thing, the recording video quality will be not good as what you see on TV. Digitized the analog video could make loss more than 50% of image detail. You can record IP bird box camera directly to your mobile phone or PC computer. The camera is streaming the digital video. However, the IP video can’t be displayed on your TV directly. Install A Free app is required on your mobile phone in order to watch the IP bird box Camera. There is recording button on the app, once you press the button, your mobile phone will start saving the video files. Press the button again, the record process will stop and the video clips has been saved to your mobile phone already. After that, you can get the video and share to your friend or family. If you want long-term recording, you may consider using PC software or video recorder. It doesn’t need extra device such as USB capturing card, the video is being digitized inside the camera. The software will receive the live stream and write to your hard drive directly. One of the great advantages is the IP based bird box camera can deliver the high-def image quality up to 1280 x 960. It is 3 times better than analog bird box camera. As the video is being digitized from the beginning, there is no interference, like the rolling bar from the analog bird box camera. 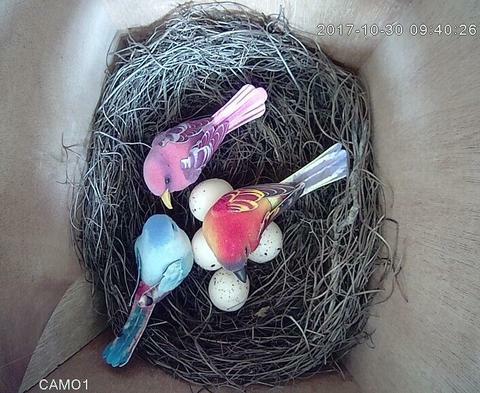 The WIFI camera is similar as IP bird box camera, also being digitized in the camera. You need to use app to watch bird box on mobile phone. The difference is the cameras connect to your network thru WiFi instead of wire which works exactly the same as your mobile phone. The WiFi bird box camera has built-in Marco SD card slot. Except for recording the video to the mobile phone, you also can insert TF memory card which is most cost effective video recording solution. 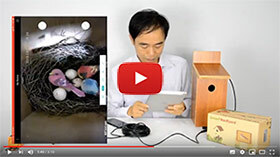 The WiFi bird box camera will save video to Marco SD card on board. You never need to retrieve the SD card to watch the video. The app allows you check the recording files over network. Once the Marco SD card is full with video, it will loop record from the beginning. The last solution is the IP based bird box camera can generate the snapshot and upload to your FTP server. If you have network attached storage (NAS) device at home, you properly has FTP server with it. Connect the bird box camera to NAS device. It will keep uploading the snapshot to your FTP server. This article is trying to cover the basic information for bird housing camera. If you have any advises or there is anything entirely wrong, please connect us on facebook. Following this instruction, you will watch the live bird box camera on your mobile phone.